Travel – the opportunity to see the world outside your window – to go beyond the borders of your neighbourhood, your city, your country. There’s nothing quite like it. So, what’s stopping you from booking that international trip? Two of the most common reasons to hesitate before buying those tickets is money and the fear of not getting your visa. How will you manage on an international trip if you run out of money, or worse what if you don’t get your visa? The whole plan of travelling abroad can collapse in a second when confronted with questions like these. Luckily, the two major concerns of travelling are interconnected. Having a healthy bank account, with more than enough money for your trip, can give your visa application the boost it needs. Why do you need to submit proof of funds? We understand that collecting and submitting your documents can be lengthy and (sometimes) tiring experience. 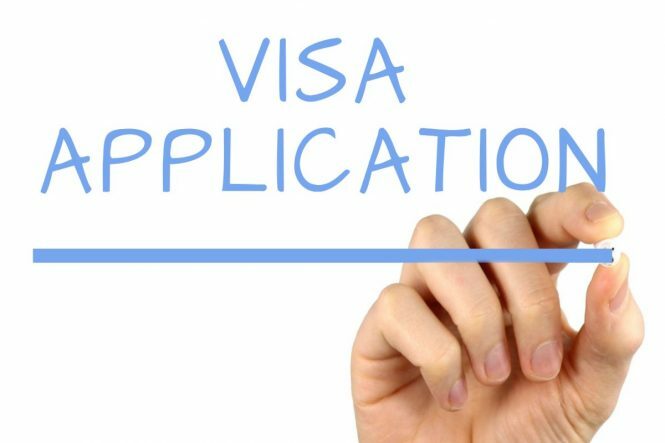 You may ask yourself what is visa and why is it important? Don’t worry, if you do plan your trip in advance, it not only gives you more time to save money but also put your documents in order. This includes your financial statements. These documents will provide proof to the embassy of the country you are visiting that you have enough money to complete a round trip. This means that you can visit the country without requiring any further financial assistance. That’s two worries taken care of with one stroke – answering your question, what is visa? While simultaneously, removing the burden of money troubles on your trip. Do note, that if you are travelling alone, you only need to provide financial resources for your own expenses. If you are travelling with family, you will need to submit a letter with the names of your family members. The embassy will then cross-check these details to confirm that it is indeed, your family who is travelling with you. What kind of financial documents do you need to provide for Proof of Funds? Bank Statement of your financial transactions for the last 6 months (you will need to get this attested by your bank). There are certain documents that may or may not be requested. However, err on the side of caution and keep these ready (you’ll be grateful that you did). How does the Proof of Funds help with my visa application? 1) The purpose of your trip: When you apply for a tourist visa, your visit is purely for personal reasons. Therefore, once your trip is done, you are expected to return to your country. 2) Your roots to your country: The embassy needs to know that you have sufficient reasons and roots to return to your country. Financial obligations play a large role in this. 3) Misusing the visa: The embassy will also assess the chances of you using your tourist visa for immigration or any other fraudulent purposes. The good news is that there are things you can do to convince the embassy to grant you your visa, beyond mentioning the purpose of your visit to your application. Firstly, make sure you have a consistent flow of funds in your account. A sudden spike in your finances could raise some red flags with the embassy. Secondly, share all financial documents related to your personal assets. This includes share certificates, property certificates, PPF or Fixed Deposits. The more reasons you provide, the more you’ll convince the embassy that you have strong ties to your home country. Thirdly, keep enough money for your trip. Do a personal calculation of trip costs, such as flight tickets, hotel stay, transport, food, entertainment. Keep an additional amount as a buffer. Although this does seem like a lot to ask, if you plan in advance, you’ll have time to gather the funds you need. You can start by opening a Holiday Savings Account with Thomas Cook. It’s a great way to set aside the money you need for the trip (removing the danger of accidentally spending it). You can also earn interest in this account. At Thomas Cook, we believe in making your travel as smooth as possible. We provide a variety of services to aid in the travel process. 1) Fill in the details for of the visa online and we’ll provide you with the quote instantly. We understand that forex rates fluctuate, and that can be worrying when you’re saving for your trip. With Thomas Cook, you will receive live updates of currency rates, and you can block the rate that you find attractive for up to 48 hours. Your trip budget and visa can sometimes stop your travel plans before they even start. With just a little planning and some help from Thomas Cook, you can easily make travel plans and make your travel dreams a reality.